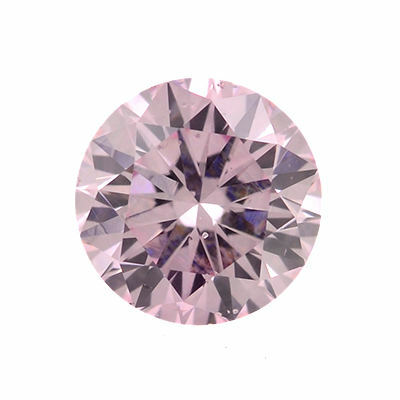 A beautiful 0.28 carat round fancy purplish pink diamond with SI1 clarity from the Argyle Mine. This pink diamond is both GIA certified and Argyle certified. Argyle pink diamonds are known for their unique and strong colors and this gem is no exception.